Why do some of us learn to bend? Others break? How do we move from shame to being “enough”? How do we bounce back stronger after adversity and then embrace our own humanity with its flawed beauty? In her first full collection of poetry, Jane Byers explores her personal experience with resilience, beginning with her own difficult birth, which she describes as “inoculation against despair.” As a young adult, the writer moves from complicity and its illusion of power to building a pliant self. Byers turns an unflinching eye to parenthood, as the mother of adopted twins, and examines the workplace through the eyes of a female safety specialist working alongside firefighters, transportation crews and heavy equipment purchasers. The author draws on the steeling effects of being queer to imbue her children and injured workers with suppleness. A late fall swim in an alpine lake; a woman in the twilight of life, risking delight. “Red thermometers of grass shed their glistening mercury” in a “fever of gratitude”; to tumble from the divine is to be alive in the pungent beauty that the so-called mundane has to offer. 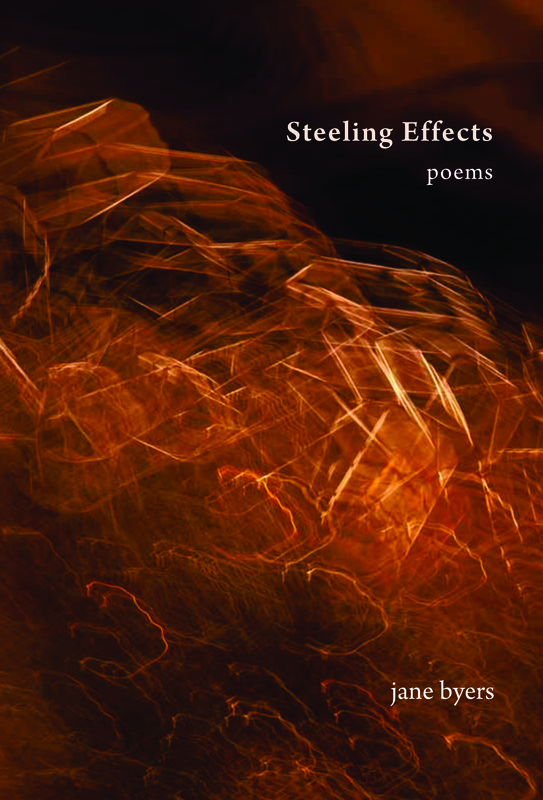 STEELING EFFECTS asks whether what doesn’t kill you makes you stronger and lives its way into the pliant beauty that gratitude affords. This entry was posted in BOOK, Uncategorized by janebyerspoetry. Bookmark the permalink.